Vets to return service medals to NATO commanders at May 20 anti-war protest | Fight Back! Chicago, IL - A press conference was held here, April 23, with the Reverend Jesse Jackson, trade union leaders and ministers, along with Iraq Veterans Against the War, to announce support for the protest against NATO on May 20 in Chicago. 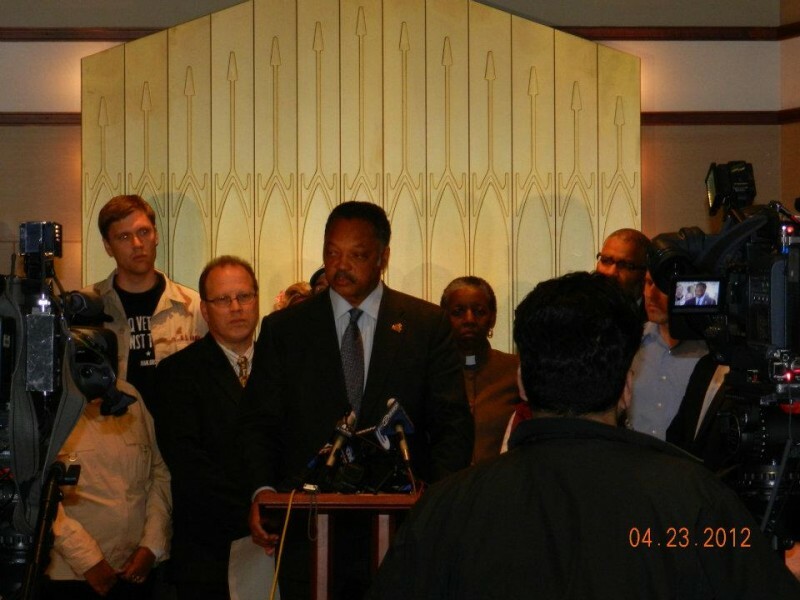 The Reverend Jackson has agreed to speak at the May 20 rally, which will be held at noon at Petrillo Band Shell in Grant Park, and then he’ll help lead the march to McCormick Place, where the war-makers will be meeting. Jackson compared the significance of May 20 to the historic civil rights march from Selma to Montgomery. Joe Iosbaker of the Coalition Against NATO/G8 War and Poverty Agenda announced that more unions, representing over 50,000 workers, have endorsed the march in the past two weeks. The unions include SEIU Local 1 and Workers United. “It’s a snowball effect,” he said, and predicted that more unions, churches and community groups will continue to add themselves to the list of endorsers.